Concerns over rising interest rates and expected further rate increases have hit several stocks hard since the end of the third quarter. NASDAQ and Russell 2000 indices are already in correction territory. More importantly, Russell 2000 ETF (IWM) underperformed the larger S&P 500 ETF (SPY) by about 4 percentage points in the first half of the fourth quarter. Hedge funds and institutional investors tracked by Insider Monkey usually invest a disproportionate amount of their portfolios in smaller cap stocks. We have been receiving indications that hedge funds were paring back their overall exposure and this is one of the factors behind the recent movements in major indices. In this article, we will take a closer look at hedge fund sentiment towards O’Reilly Automotive, Inc. (NASDAQ:ORLY). There was net buying of O’Reilly Automotive, Inc. (NASDAQ:ORLY) among hedge funds for the second-straight quarter in Q3, pushing hedge fund ownership close to 3-year highs at 43 funds long the stock. While it ranks very well among its market cap peers (as you’ll see below) and was also more popular than auto parts rivals Advance Auto Parts, Inc. (NYSE:AAP) and AutoZone, Inc. (NYSE:AZO), it couldn’t come close to making the list of the 30 Most Popular Stocks Among Hedge Funds, finishing in 154th place. Today there are a large number of methods stock traders employ to size up stocks. Some of the most underrated methods are hedge fund and insider trading interest. We have shown that, historically, those who follow the best picks of the elite investment managers can outpace the broader indices by a healthy margin (see the details here). 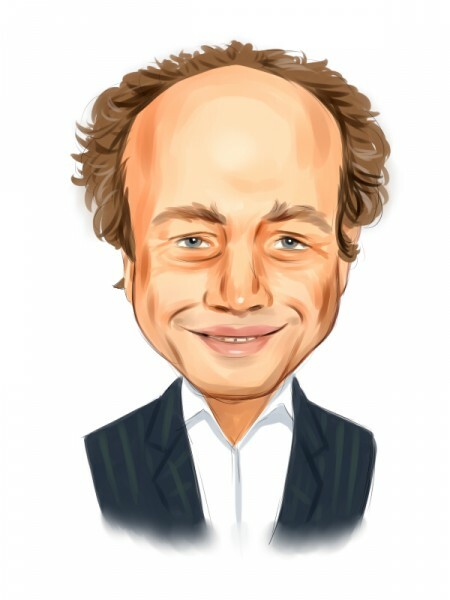 What does the smart money think about O’Reilly Automotive, Inc. (NASDAQ:ORLY)? At the end of the third quarter, a total of 43 of the hedge funds tracked by Insider Monkey were bullish on this stock, a rise of 8% from the previous quarter. 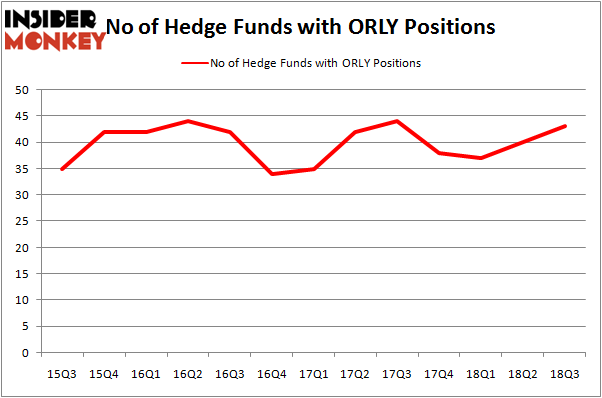 By comparison, 38 hedge funds held shares or bullish call options in ORLY heading into this year. So, let’s examine which hedge funds were among the top holders of the stock and which hedge funds were making big moves. More specifically, Akre Capital Management was the largest shareholder of O’Reilly Automotive, Inc. (NASDAQ:ORLY), with a stake worth $655.5 million reported as of the end of September. Trailing Akre Capital Management was Abrams Capital Management, which amassed a stake valued at $306.8 million. Two Sigma Advisors, Citadel Investment Group, and AltaRock Partners were also very fond of the stock, giving the stock large weights in their portfolios. Consequently, key money managers were leading the bulls’ herd. Moore Global Investments, managed by Louis Bacon, created the most valuable position in O’Reilly Automotive, Inc. (NASDAQ:ORLY). Moore Global Investments had $17.4 million invested in the company at the end of the quarter. Benjamin A. Smith’s Laurion Capital Management also made a $13.5 million investment in the stock during the quarter. The other funds with brand new ORLY positions are Alexander Mitchell’s Scopus Asset Management, Paul Tudor Jones’ Tudor Investment Corp and D E Shaw. Let’s now review hedge fund activity in other stocks – not necessarily in the same industry as O’Reilly Automotive, Inc. (NASDAQ:ORLY) but similarly valued. These stocks are ONEOK, Inc. (NYSE:OKE), Chunghwa Telecom Co., Ltd. (NYSE:CHT), MPLX LP (NYSE:MPLX), and ICICI Bank Limited (NYSE:IBN). This group of stocks’ market valuations resemble ORLY’s market valuation. As you can see these stocks had an average of 17 hedge funds with bullish positions and the average amount invested in these stocks was $354 million. That figure was $2.04 billion in ORLY’s case. ONEOK, Inc. (NYSE:OKE) is the most popular stock in this table. On the other hand Chunghwa Telecom Co., Ltd. (NYSE:CHT) is the least popular one with only 4 bullish hedge fund positions. Compared to these stocks O’Reilly Automotive, Inc. (NASDAQ:ORLY) is more popular among hedge funds. Considering that hedge funds are fond of this stock in relation to its market cap peers, it may be a good idea to analyze it in detail and potentially include it in your portfolio.